Shackled to a Corpse: Shackled to which corpse? Like most men of my age, I was put to bed with a bedtime story (what with the TV going off during the hours of darkness and all that) My mother regaled me with tales of lost dogs, and children killing witches or been eaten by wolves, where my father read to me the works of M.R.James (which explains why I never got any sleep) and Lord of the rings and history books, (which is why I became a wargamer, and heavy caffeine drinker) I digress but to cut a long and slightly tall story short I remember the phrase from one of the history books 'shackled to a corpse'. Apart from childhood visions of German soldiers marching into battle alongside zombies the subject of the phrase took my interest. During the First world war a German officer noted that been allied to Austria was like been shackled to a corpse. It had a slight ring of truth. But was it, if you look at the whole picture during the great war, who was shackled to a corpse? The Austro-Hungarian empire was a hodge podge of an empire, made up of a dozen countries with very little in common, the Austrian army spoke a dozen languages and so English was used to issue orders as English was the only common language spoken due to amount of people who wanted to live in America rather than their own country. Some provinces were not all that loyal, Slavic troops were poorly treated and considered pro-Russian. Despite this Austria did fight well, considering a war on 4 fronts if you include Runamia, while been starved of material and food (most of it going to Germany) and taking up half of the eastern front the Austrians had a lot to contend with, so Austria did not do all that badly, although the Austrian army never lived up to German expectations they did take on considerable odds and still held the line with a cohesive force intact, unlike the Germans in 1918. The last vestige of the crumbling empire, the 'sick man of Europe' possibly so, but again, turkey fought a very wide campaign. The Turkish troops were no worse than any other and had long military traditions just like most nations, although the declaration of Jihad in November of 1914 didn't seem to help their fighting ability much, the troops did fight well and proved particularly stubborn without much cajoling. Most of its troops fought in Russia, and only a hand full defended the line from Palestine to Iraq, barley more than a picket. So their defeat by the British was not as surprising to the Germans, especially as turkey itself cared little for the war in the south as the eastern front was the most important one to turkey, after all their biggest campaign of the war was fought in 1918 in Russia. So the central powers primary allies were not all that bad, to describe the allience as to be shackled to a corpse may have been a little disingenuous. Germany may have been the powerhouse of the central powers, it relied on Austrian wheat and coal, and certainly was in need of the vast manpower both of these gave them during the war. At first I should point out that I was originally thinking that if Germany was the leader of the central powers then one should assume the British empire as the leader of the entente powers, however, in reality it was really France who led the central powers, and France who bore the brunt of the war, so I will regard England as been 'shackled' to France, rather than France been the lesser power. So the vast British empire as an allie of France will be considered here. Firstly, the vast and mighty British empire was anything but. London considered its entire war aim as keeping open the vital jugular vain of merchantmen that kept the beating hart of the empire alive. Of anyone can be described as the sick man of Europe Britain would surely fit the bill. Socially the Empire was falling apart. India was ripe with revolts, Japan had to put down 2 rebellions by Indian troops during the war because Britain could not spare the troops. In Africa half a million imperial troops couldn't pin down one German general with 30,000 men. There were rebellions in South Africa, Ireland and 30,000 British troops had to be kept in northern England to keep law and order. To be short many of the troops brought in to fight the war were used to keep order in an increasingly rebellions empire. The British army was terribly led, at least at the mid level of command, troops training was (after the BEF) not all that good, Colonial troops had the enthusiasm but again were badly led and poorly deployed. What made things were was the fact there was no grand battle plan. Britain repeatedly failed to liaise with French and Russian troops on the western front. Also British artillery was terrible, for instance the 6” howitzer fired 22 million shells during the war, and 8 million of them never exploded. British munitions had no quality control and the French even refused to use British artillery, only 2 out of 3 shells ever detonated. Overall all the British were good for was stopping bullets while the French did the proper fighting holding Verdun. The royal navy, the largest battle fleet ever seen on earth turned out to be an expensive borble. The fleet was kept in port mostly due to fear of loosing ships, so much so that Japan and later America were relied upon to protect Britain's trade routes, which made England look even weaker to its allies which it would pay for in the next war. When the fleet was used it fared very badly, poor training and even worse leadership led to battles that should have been victories. Tsarist Russia is seen as a bit of a shaky allie of the entente powers. 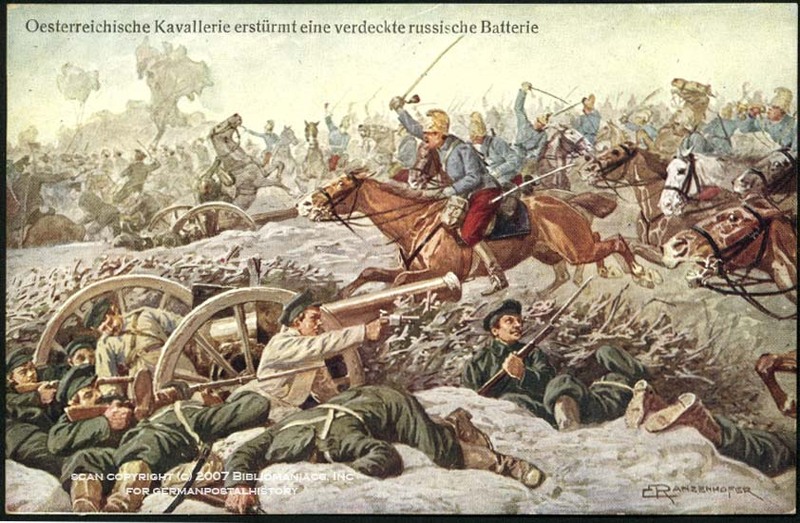 But bare in mind Russia bore the brunt of the fighting. 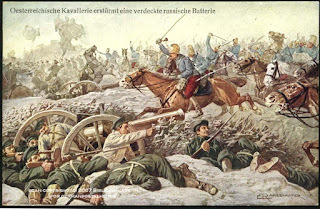 Russia took on 80% of the force of the Austrian empire, 70% of the Ottoman empire and drained millions of Germans from the west, in fact the eastern front took so many Germans that the Germans entire battle plan for the west was to hold until troops could be brought back from the east (which took about 4 years). Overall 60% of German forces were pinned in the east, another 10-15% were pinned in turkey and Italy. Also despite fighting the Germans, Austrians and Turks the Russians also managed to space 20,000 troops for the western front to bolster their allies. While all this was going on the Russians even found time to have 2 revolutions and a civil war while still fighting for their Entente allies. To be short the Russians although they can be considered to be a little unwell were certainly no corpse, and without them probably both Britain and France would have been eating sausages and speaking German by 1916. All in all there were pro's and cons to all the members of both the central powers and Entente. I know I haven't mentioned the Italians or Americans and only mentioned the Japanese a little but by the grand picture none of these allies amount to a hill of beans, and before any Americans start to complain by the time they arrived in any useful force a million German troops dropped dead of influenza there by ending the war bar the shouting, although they certainly fought with enthusiasm, even though the war was all but over, if only the top brass would have realised it. 'hell we just got here'.